United States - Sept 2nd 2013- Your engagement might be new, but, this wedding planning tip is as ancient as time! There is an old adage directed to the phenomena of a person not seeing something staring directly at them – “If it were a snake, it would have bitten me!” Stop, think for a minute. There are many things that we do not see, but affect us none-the-less. For example, you can’t see the air that you are breathing in. – But, stop breathing it, and you will die! We can’t physically see a “thought” or a “feeling”, but, perhaps their expressions. What about the human cells which repair your body? - They produce healing, whether you see them or not! None of these can be seen with the naked eye, yet, they navigate the fate of the essential things which support life. Our living is influenced by countless unseen protagonists and antagonists. Question - How does this relate to wedding planning? Answer, “You take you wherever you go!” “What!” you exclaim! A True Bride Dilemma - The Solution Is Both Simple And Profound! “She, a bride-to-be, had a horrible time deciding what wedding cake, dress, shoes, location, etc. After all, it was all about the budget, and sticking to it. In fact, she and her groom had so financially little, well, there really wasn’t a budget!” They planned their wedding on a “hope and a prayer!” And, with every bombardment of suggestions, the dilemma accrued momentum, to the point of “critical mass”. Does this describe you, yet? My father used to say, “Well, when I found out what was causing it, I stopped!” - This to be the solution to that “unwanted thing” repetitively occurring. But, me, I would rather identify the phantom before it bites. This is what I mean by, “You take yourself with you every where you go!” So, why not know you better! Who you are is identifiable, if you take the time to be a “self-identifer”. And, this is true to determining the wedding planning values that really matter. These values go far beyond the wedding day. 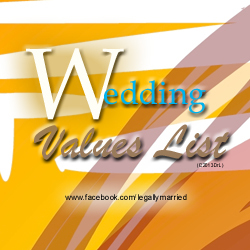 So, begin a “Wedding Values” List today. – This idea and practice, is a Dr. Linda original! I will even start you off, and, then continue the series of “Wedding Planning Values” questions in the future. 1. Picture yourself 20 years after your wedding. Perhaps, long after your Great –Aunt or Father or dearest friend has passed away. When you look back, what gives you the “warm and fuzzies”, or “puts a smile on your face”? What really matters to you then? – The pleasant memory of that “frozen in time” hug with your father or dearest friend, or your rhinestone Louis Vuitton wedding shoes? - Those hours talking about your joy-filled future marriage with your Great- Auntie at Starbucks, or your rhinestone Louis Vuitton wedding shoes? Your answer says a lot about you, now. And, it makes a statement about how much you need a “Wedding Planning Values” List before you start planning! 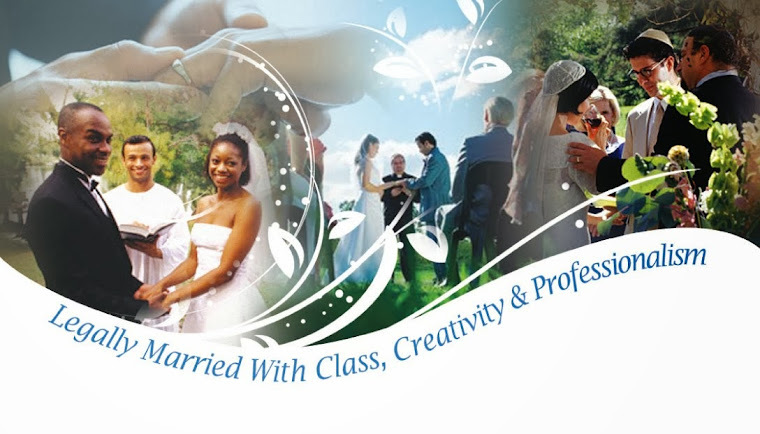 Dr. Linda Wainwright Trott - The Clergy Network & LegallyMarried is a Celebrity Wedding Officiator, Writer, Blogger & Educator, and has written and presided marriages for 24 years. With multiple academic degrees, she was also a professor and president of a university. From The Food Network Star Chef’s Wedding to The Real Housewives of Orange County Bravo T.V. Wedding to the bride on a budget, Dr. Linda is a “Wedding Values” writer. 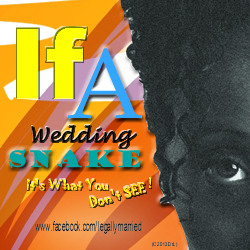 Dr. Linda encourages what is really important about “getting married”. Starting with absolute values first, helps a bride make the best and most memorable wedding planning decisions.